Marvelously thought through analysis of Pictish symbols, primarily those on stone monuments. Cummins draws together a number of Pictish sources and historical records of related cultures to create compelling conclusions from rather sketchy evidence. He recognizes the limitations of the source material and usually admits that future scholars will need to confirm or disprove his guesswork. Occasionally, Cummins asserts unsupported conclusions, but these minor leaps don't detract from his remarkable thesis, which is often brilliant. One of the best books on deciphering the Pict symbols I've encountered in recent years.He is systematic in his approach and very clear when he proposes a 'guess' for an interpretation.Several very clear photos anddrawings help you understand his conclusions. A fully updated, expanded, and newly illustrated version of a classic text on early Scottish history. 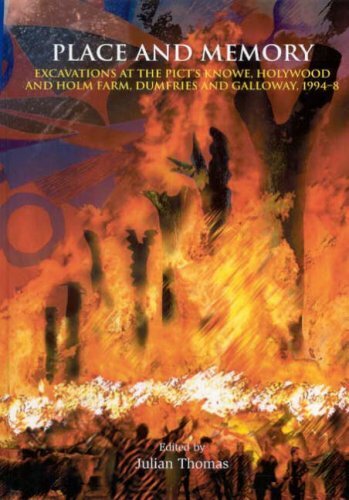 In captivating detail, it provides insight into the lives and origins of the Scottish people’s ancestors and explains how the Picts and Gaels ultimately forged a nation. Using the latest archaeological discoveries, this comprehensive overview reveals the significance of Pictish symbols and early sculpture, examines the art of war and the role of kingship in tribal society, and delves into the religious beliefs of these 2 peoples and the impact of Christianity. With coverage of settlement, agriculture, industry, and trade, a full and fascinating picture of developing Scotland emerges. Great book. very informative. the maps really helped me understand where my Clan originated. Great book. very informative. The maps really helped me understand or origin of my Clan. Evidently this book was written by a Scottish nationalist who abhors any connection to the English. Some of early peoples of Scotland were the Picts, Gaels, and Angles. 'Angles' isn't used by this author --note the title--and is replaced by 'Scots'. although a half dozen languages were spoken in Scotland. The Angles were a Germanic people who invaded what is now the north of England and established the Kingdom of Northumbria. In the seventh century they invaded Lothian, the Edinburgh region. Their language, variously called Anglian, Inglishe or English, was adopted by the Scottish monarchs, and spread with the establishment of burghs through much of Scotland. In the modern period English-speaking Scots began to call their language 'Scots'. Some historians and archaeologists now use the term 'Scots' for Angles; not only is it anachronistic, it is misleading. This a very good book, descriptive, well laid out. However, the type is very small, needing a magnifying glass for prolonged reading. The captions under the excellent pictures and diagrams are even smaller. I suspect the small type was done to save on printing costs, as upping the fonts would have required more paper. I would have gladly paid more money for better readibility. 5. 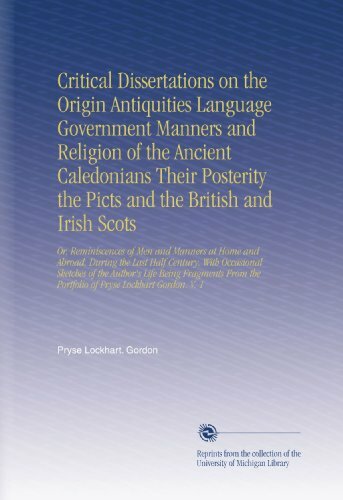 Critical dissertations on the origin, antiquities, language, government, manners, and religion, of the ancient Caledonians, their posterity the Picts, and the British and Irish Scots. The Pictish nation, forged in the shadow of the Roman empire, was the dominant power in northern Britain for more than 500 years. Much has been written about the archaeology and culture of the Picts in recent years, but the historical problems have received less than their fair share of attention. 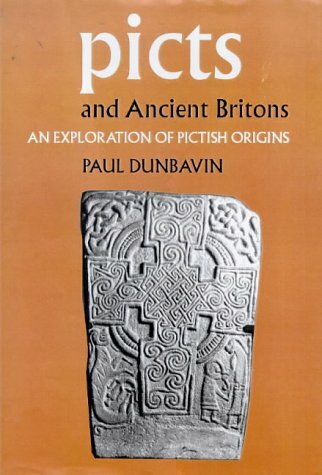 Attempting to redress the balance, this book provides a fresh look at the whole Pictish story, placing it firmly in its true historical context and reassessing topics such as the legend of Drust son of Erp and St. Columba’s mission to the Picts. 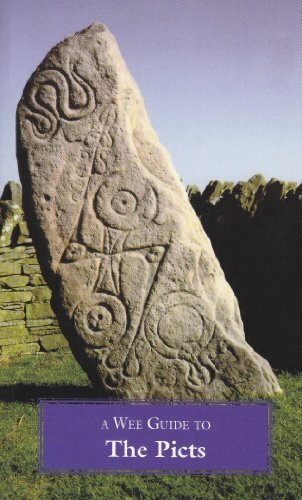 Unusual but useful comparisons with contemporary events in Wales and England are presented, as well as new and controversial interpretations of Sueno’s Stone and Pictish symbols, and a fresh explanation of how the Scots took over Pictland in the ninth century AD. The author does a fine job in the first 6 chapters considering the paucity of information on this somewhat mysterious people. In chapter 7 he briefly discusses their origins. This was where I found the book wanting. There appears to be no definitive answers or agreement among scholars of the various disciplines. Was Tacitus right about their Germanic origin? Are they a pre-Brittonic people, or Celtic? Can archaeology and DNA testing ever provide us with some certitudes? 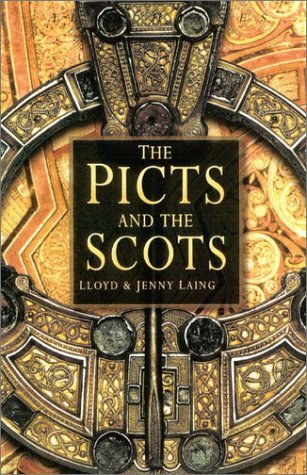 Note, John King in his book "Kingdoms Of The Celts," stated that the Picts clearly were not Celts.The remainder of the book is about the Picts often hostile relations with their numerous neighbors. The photographs and maps were somewhat helpful. This book posed as many questions as it answered. For that it was worth the price. A wonderful book, and an excellent resource! 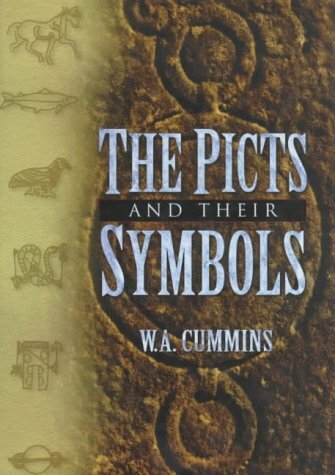 In this wonderful book, Professor W. A. Cummins collects all of the information known (as of 1995) about the Picts, the people of ancient Scotland. 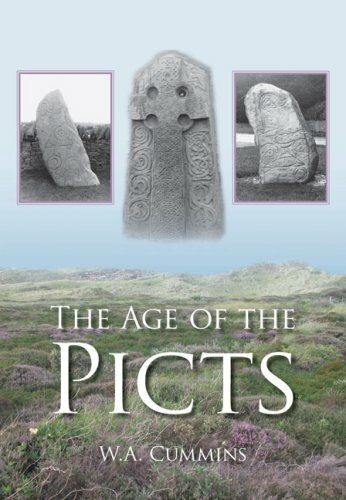 In the first eight chapters, the author examines what is known about the Picts, taking each subject one at a time to produce a clear and concise analysis of the data. 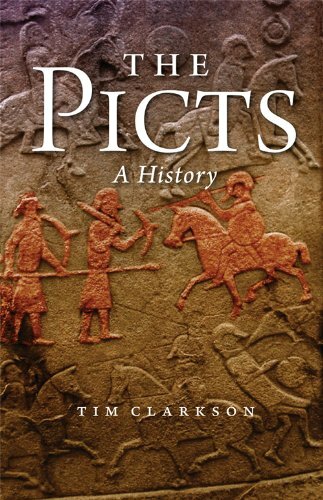 The remaining ten chapters examine the Picts through a historical prism, showing how they interacted with neighboring peoples, and what those interactions tell us about the Picts. The crème de la crème, though, are the three appendices. The first two deal with the lists of Pictish kings, while the third analyzes the 30 Pictish "kings" who all have the name Brude. This is a wonderful book, and an excellent resource! The author does speculate, drawing inferences carvings and so forth, but he does leap out into transoceanic empires and so forth that are presently so popular in some books. Instead, this book is a wonderfully readable book, which covers its subject in a scholarly manner. I highly recommend this book! I must add, though, that the author clearly states, "Their language was sufficiently different from Scottish (Gaelic) and British (Welsh) to be considered a quite distinct language." What this language was, he does not speculate, but he does show how it dropped by some of the Picts in favor of British, and by the rest in favor of Scottish. Get this book! Terrific new entry into the nebulous world of Pictish studies. 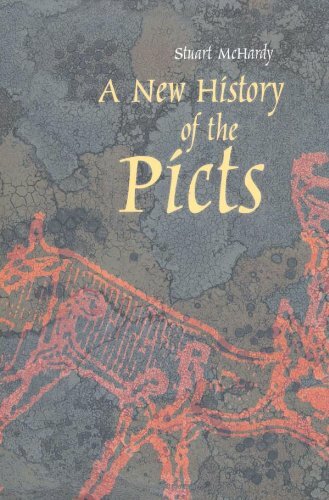 Without a challenge, it has the BEST chronology of Pictish events and clearly the most clearly researched list of Pictish kings (which can be confusing at times in most books). The author's theory as to the Britannic origin of the Scottish peoples in relation to the Picts is interesting and highly provocative. In recent years there has been a great deal of work done on the Picts and the Scots, but you won't learn anything about that work here. There's nothing much wrong with the book, it is short and readable, but it is seriously outdated. The consensus of opinion on many questions has changed a great deal since the early 1990s, and much that was taken for granted is now rejected or questioned. 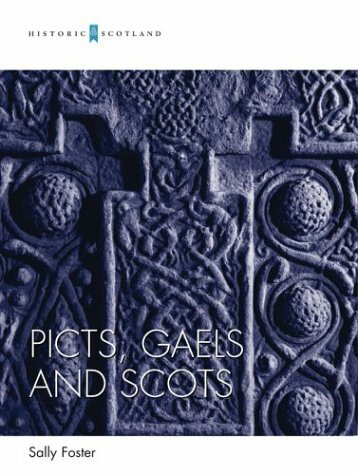 For a more up-to-date picture, the 2004 edition of Sally Foster's Picts, Gaels and Scots is worth considering. excellent up-to-date work on the Picts and the Scots of ancient Scotland. For many centuries the Picts have remained shrouded in myth and legend for the only written records - their Pictish stones - have been undecipherable. In 1958 with the discovering of the St. Ninan's Isle Treasure, a new focus has been applied to interpreting what we know. Written record mostly comes from people viewing the Pictish Nation from the outside, which often leads to misunderstanding, if not exaggeration...possibly slander. In this highly readable account, they present the latest archaeological discovers, and discusses how these two difference races co-existed and ultimately merged of a nation of one through the slaughter of the Pict royal houses. Again, that is the only slight aggravation (as with nearly all books on this Picts) is the ignoring the importance of this and how it was the foundation of the Scottish Highlands. When the Romans left Britain around AD 410 the island had not been fully subjugated. In the Celtic fringe of Caledonia - now Northern Scotland - these unconquered native peoples were presented with the opportunity to pillage what remained of Roman Britain. By way of response the Post-Roman Britons of what is now Scotland did their best to defend themselves from attack, and to preserve what they could of the economic and administrative systems left behind by the Romans. While some old Roman forts were maintained, the Post-Roman Britons in the area created new strongholds, or re-occupied some of the long-abandoned hill-forts first built by their ancestors before the coming of the Romans. Meanwhile the Caledonians - who evolved into the Picts - relied on fortifications to maintain control over their land. Then a new wave of invaders arrived from across the Irish Sea. The Scots came first to conquer, then to settle. In their wake came the Angles and Saxons, driving north to occupy most of Scotland as far as the Firth of Forth, and later the Vikings arrived from the north and east. During the variety of ensuing struggles, the Picts, Scots, Vikings, Northumbrians and North Britons made extensive use of fortifications, the remains of which still dot the modern landscape. Angus Konstam done a very good job with extremely fragmented archeological remains and written contemporary (or near contemporary) material. That is the reason of the title of the review - with the amount of evidence available to historians in 2010 it would be impossible (in my humble opinion) to make a stronger and more solid work. But speaking of the content of the book: it describes the several types of strongholds, from small fortified farms to the huge promontory forts or the nuclear fortifications; how they were built; descriptions of several individual fortifications and their history, etc. Compared to classical era fortifications, those of the Picts and their neighbours are extremely simple; this is somewhat compensated by the extreme care where they were chosen to be built - in very easily defensible sites like steep hills, rocks, promontories, etc. Useful for the purposes that they were built for, but clearly weak against a determined invader. Some aspects directly or indirectly related to the fortresses themselves are also mentioned, like their importance in war and peace, the endemic wars between de Scoti from Dal Riata, the Picts and the Northumbrians; the devastating invasions and raids from Viking marauders, etc. Curious that the British peoples of the dark ages saw the roman rule as a golden era of peace, safety and prosperity, considering roman remains with awe and respect (it's particularly paradoxal because they fought the romans for so long). The illustrations of Peter Dennis are absolutely fabulous. Great reconstructions of fortifications and sieges. Contains chronology, glossary and a quite complete list of strongholds and a guide on how to visit them. Note: this is a book about Pict strongholds. Not about their society, culture, art or battle tactics except in the matters that these subjects relate to their fortifications. 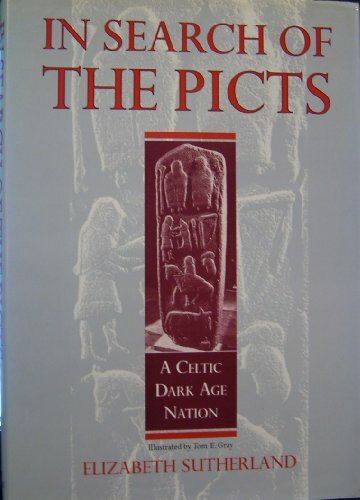 If you want to know more about Pictish civilization you might want to read: "In Search of the Picts: A Celtic Dark Age People"; "The Picts and Their Symbols " or "Age of the Picts". which spans the era roughly from the 6th to the 9th century. The analysis includes small ring forts (duns), reoccupied hill forts (Craig Phadrig, Clatchard Craig), promontory forts close to the sea (Burghead), citadel forts and nuclear fortifications. 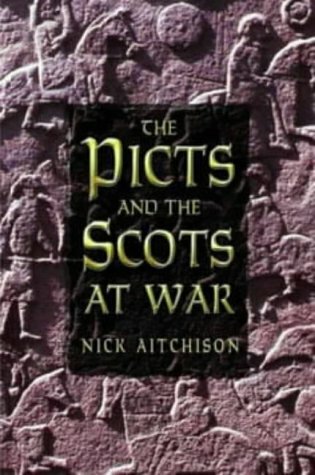 Strictly speaking, the discussion touches upon not only Pictish strongholds but on those of their neighbours: to the west the Dal Riatan Scots (originally from Ireland), with their centre at Dunadd; to the southwest the Britons (read Celts) of Strathclyde (Alt Clut : Dumbarton); to the southeast the Britons of Goddodin (Dun Eidin : Edinburgh) whose territory fell to the invading Germanic Angles from Northumbria around 638 CE. "The Early Historic strongholds...were nothing compared to the Roman legionary camps...or even to the great Celtic hill forts [of the Iron Age]...However, for the most part they were compact...and they made the best possible use of natural defensive qualities of the terrain" (p. 41). As is characteristic of the Osprey booklets, the present volume is lavishly illustrated with full colour artwork, photographs and maps. At times, however, the written material tends to be exceedingly repetitious as, for instance, on page 21 where the same information given in the main text appears in the smaller typeset description of Portknockie. The same happens in regard to Dunadd (pp. 36-41). Aside from a mention of Viking raids starting at the very end of the 8th century, we are left pretty much in the dark as to the fate of the enigmatic Picts. My title essentially sums up the book--the emphasis is more on certain fortresses such as promontory forts and hill forts as opposed to looking at the situation from a variety of angles (military, political, cultural, technological, etc). Konstam does an admirable job of packing in a lot of information, and Peter Dennis' illustrations are great, but I still felt a gnawing sense that the book didn't live up to what it's blurb said it would. I was expecting an analysis of Pictish, Saxon, and Gaelic forms of warfare, but no cigar. The focus for nearly all the pages is on the various forts and an example from different regions in Northern Britain. To be fair, this is all the archaeological evidence really supplies at the moment, but I still heard a little voice in my head that cried out: "More!" If you are interested in forts and fortifications, this is an excellent complement to Konstam's British Forts in the Age of Arthur. However, if you are more interested in tactics, weaponry, and clothing, this book, while its illustrations allude to such cultural elements, do not go in depth at all. No explanation is offered of the illustrations except their fortifications, and strictly that. So, the book achieves what it set it out to do--provided you didn't read the "It will also discuss the mystery surrounding the Picts, and show how modern archaeology has done much to reveal the way these enigmatic people waged war, and defended their strongholds," blurb. Because the simple truth is that it doesn't discuss how they waged war in any serious detail, and I felt most let down by that. 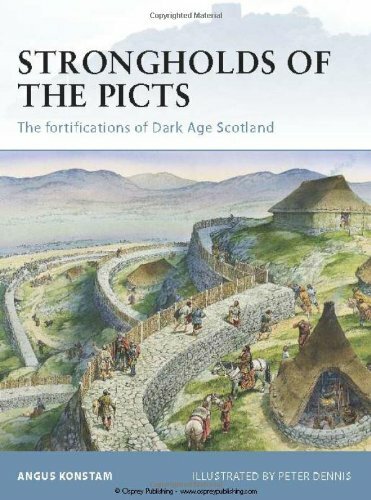 That said, this is still a great book, and useful to those wondering about the fortifications in Dark Age north Britain. Elizabeth Sutherland, former curator of Groam House in Rosemarkie, Rose-shire, was responsible for establishing the museum as a Pictish Centre. She had published several novels, a guidebook for the Highland life, and other books on the Picts. There are excellent photographs, maps and drawing to help illustrate her text presentation. She begins by tracing the origins fo the picts from the neolithic nomad-farmer, coming of bronze age, moving into the invaders from Rome, covering Mons Graupius. 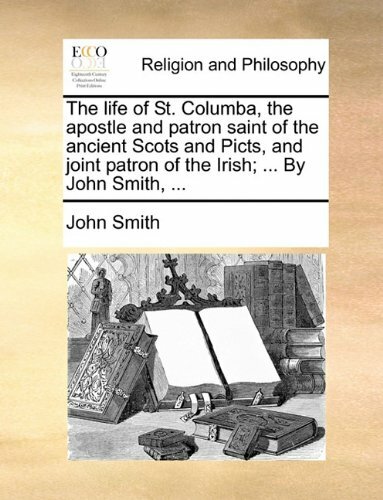 The next part of the text goes into the 'foundation myths', the Kings List, St Columba. Also it covers the forts and palaces. She dedications a section to the stones and symbols, especially Pictish-Christian interaction. The 5th sections covers the important people in a Pictish tribe, the warlocks, hunters, monks and touches on Pictish Lore. Section Six dealing with what has been left behind, Language, writing, jewellery. Seventh section dealing with the everyday life in a Pictich Settlement. Finally the last section deals with the Viking invaders, later Viking settlers and the Rise of Kenneth mac Alpin. The Only fault I find in the work was she lightly skipped over Kenneth's slaughter of the Pictish royal houses in order to cement his matriarchal claim to rule the Picts. 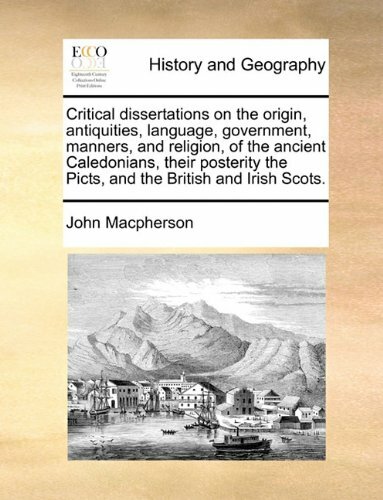 Other than that, I found the work very well done and would be of interest for someone wanting a bit more detail about these fascinating people that formed the backbone of the Highlands. The final ten pages which are part of the main register consist of a List of books printed for Mundell & Son, Edinburgh, and J. Mundell, College, Glasgow. This is a typical Osprey book - a primer to a niche subject. In this case, the coverage is nigh perfect. The text states that there is not much written on the Picts because not much is known about them. Thus there is a lot of cross-referencing to Celtic and other sources just to get an idea about the Picts. The illustrations are terrible. There is a great divide beween text and illustrations. The Picts disavowed the use of armour to flaunt their courage and loved to fight naked to show off their tattoos. The illustrations all depict clothed and armoured Picts. The line drawings hint at the missed opportunity to depict some truly magnificent paintings based on the abstract animal motifs. As with all of osprey's Men-at-Arms books, this one is well written and jam packed with useful information. The only problem I see is the art work. Every Osprey book I've read so far has amazing illustrations.This one however seems as though it was thown to a random staff member who likes to draw. The illustrations seem much more like japanese anime than anything else. It doesnt seem like any of the images were taken seriously and it was hard for me to take them seriously seeing as I felt like I was watching an episode of Pokeman.This aside, its still a great booklet and I highly recommend it. 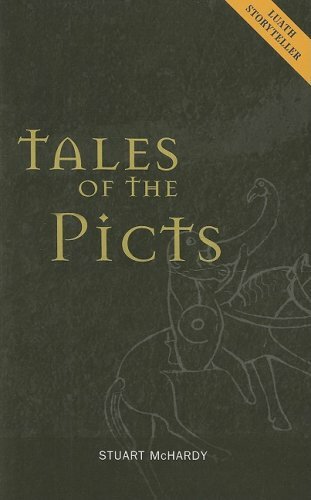 A fine book.The author uses a combination of Roman historians, Welsh and Gaelic mythology, and archaeology to paint a believable picture of the fearsome warrior culture today called 'Picts'.He examines their origins as a people, the origin of their name (it may well be a tribal name in their own tongue, rather than from Latin 'painted'), and their history with the late Romans, the Anglo-Saxons, the Gaels, the Norse, and the Scots who finally assimilated them.The text also details the daily life of the noble warrior, the warband on campaign, and the philosophies by which the Celtic warrior in general lived.What little is known of Pictish armor, costume, weaponry, and battle tactics is also detailed.The plates, by Wayne Reynolds are excellent and do a fine job of supporting the text. Plate B shows characters from Irish myth recreated as Pictish warriors.These are Chulainn and Scathach training at the latter's School of War, while other champions and students look on. Plate D shows a Pictish raid on Hadrian's wall in the 4th Century AD.Several heavily tattooed Picts are shown in combat with Romano-British soldiers.Some of the Celts are also shown fighting naked in the traditional manner, and one is using a lasso to pull a defender off the wall. Plate E shows different Pictish weapons, swords, bucklers, axes, and a spear. 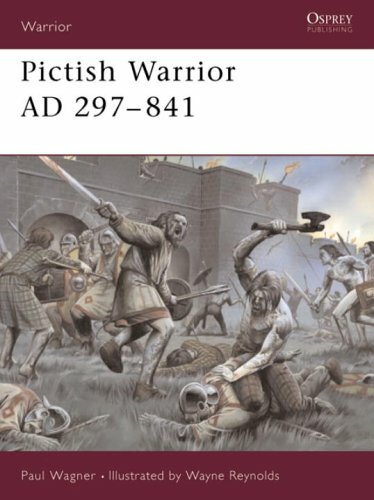 Plate F gives us two warriors of the later Pictish period, a noble horse-warrior in scale armor, and a common warrior with a pike and buckler.The illustrator illustrated most of his Picts, even the later ones, with swirling tatooes on at least their lower legs. Plate G shows the 'Law of the Innocents'; a Pictish warrior-woman was killed in battle with Northumbrians, and upon the sight of her child sobbing at her breast, the mother of the Abbot of Iona forced him to pass a law in which women were forbidden from going to war-a custom that had been very common in northern Britain. Plate H shows Pictish pikemen in combat with the horsemen of Strathclyde, while some Pictish horse-warriors ride around the left flank throwing spears at the enemy. Both the text and plates in this book are highly detailed and exciting, and are highly recommended for anyone interested in this fierce warrior society. 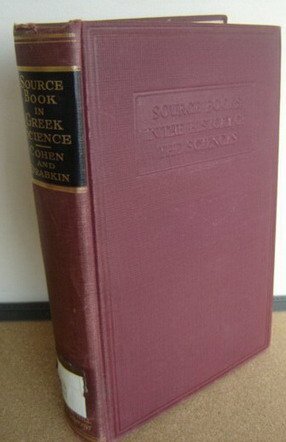 Covering the general fields of mathematics, astronomy, mathematical geography, physics, chemistry and chemical technology, geology and meteorology, biology, medicine, and physiological psychology, the present collection surveys the field of Greek scientific achievement over a thousand-year period. Many Greek scientific treatises were written and read by cultivated people who did not regard themselves as specialists. These works should appeal today to those readers who wish to understand not only the foundations of modern science, but also a vital element of the humanistic tradition. When first released most contributions that dealt with the history of Greek science had been written primarily for the specialist and few scholarly works were available that gave a panoramic picture of the whole field of ancient scientific thought and achievement. Furthermore, much of the vast literature on the ancient Greek scientific efforts was dispersed among philological books and periodicals not readily available to the average student. There was a definite need for a book giving a range of primary sources in the various disciplines of the natural sciences for which more precise references could have been found. This contribution of Morris Cohen and I.E. Drabkin filled such a need, and it should even today have a special appeal not only to the biologist and other students of the natural sciences but to the cultured layman as well. The main effort of this volume is to achieve comprehensive coverage of topics, which have been grouped under the following modern categories: Mathematics, Astronomy, Mathematical Geography, Physics, Chemistry, Geology and Meteorology, Biology, Medicine, and Physiological Psychology. This arrangement facilitates finding material that may be of particular interest to various specialists. There are excluded from this work the myths, superstition, and astrology of the soberest Hellenic chroniclers of science. In 558 pages of text, it is the rare selection that takes up more than five pages, and a great many occupy only a half-page or page of print. Although the passages are abstracted from their contexts, the authors have overcome this disadvantage by a generous use of explanatory footnotes, and the authors have shown commendable asceticism in confining their notes and footnotes to the essential task of clarifying their texts and putting them in their historical setting, and have refrained from overexercising their philosophic erudition. The general idea that the scientific method began only three or four hundred years ago, and that the ancient Greeks were mere armchair speculators or philosophers given only to qualitative thinking, is certainly in error. If we consider the collected works going under the name of Hippocrates of Cos, the treatises of Galen, or the writings of Oribasius or Theophrastus, there is much evidence that the scientific method of inquiry began at least in the 5th century B.C., and probably earlier. Fragmentary data seem to reveal that Praxagoras, Erasistratus, and Herophilus certainly used the experimental method in their studies on brain, spinal cord, eye, and vascular system. Erasistratus of Ceos, a contemporary of Herophilus at Alexandria (around 300 years B.C. ), apparently distinguished between motor and sensory nerves. There are also indications that he employed quantitative experimentation on metabolism almost 2,000 years before Sanctorius. Still later, Galen (A.D. 130- 200) reported his observations on the results of sectioning the spinal cord at various levels. It appears that Cohen and Drabkin have been concerned in trying to draw a fine line between what may be considered truly representative of ancient Greek scientific observation and what is folklore. Future historians who wade through specialized scientific journals of today will doubtless be beset by similar difficulties of discrimination and so probably will be their historians. The difference between sense and nonsense in such matters is a relative one. The now seemingly absurd conclusions sometimes arrived at by even such scholars as Aristotle, Theophrastus, Ptolemy, and Galen are not quite so ridiculous when it is borne in mind that they were made on the basis of the information available at the time. It is a simple matter today to classify the work of the ancients into science or superstition, with the 2,000 or more years of accumulated information we have at our disposal. The amazing thing is that they did so well on so little. Viewed in this perspective, there is little indication that man's capacity to interpret data has increased, and what appears today as an improvement in this function is only an apparent one. Man simply has more factual information to work with.